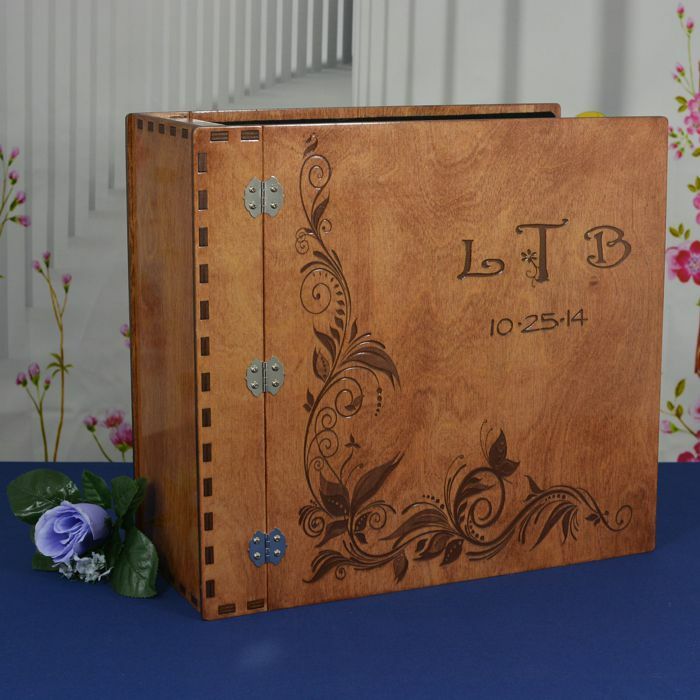 Handmade to order wood 12" X 12" Photo Album or Scrapbook is 6" thick and will hold 50 to 100 media inserts and includes your choice of stain and a clear protective coating. Personalization is included in the price and you have total control over the personalization. Send us your artwork or design idea or use our many choices of graphic designs and add your personal message. Either way we will send you a complete mock-up for you to approve before we start on it. 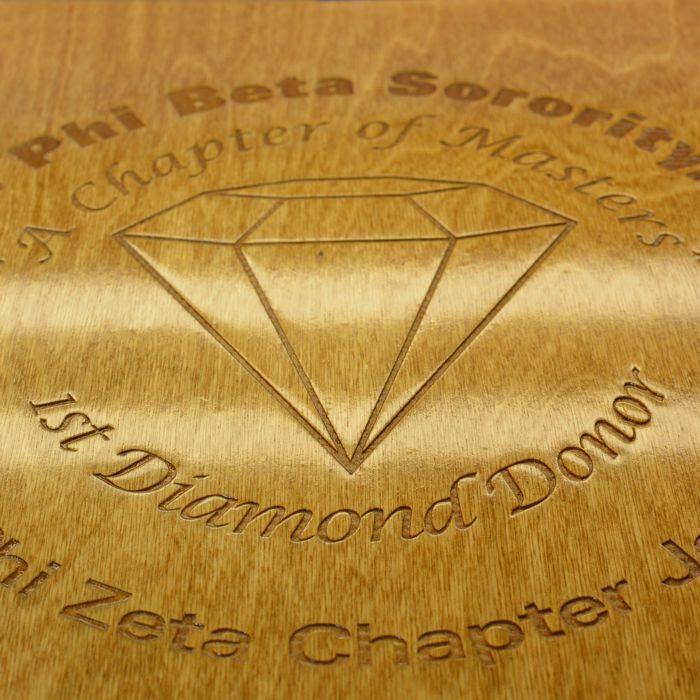 Price includes text and/or graphic engraving on 1 surface. 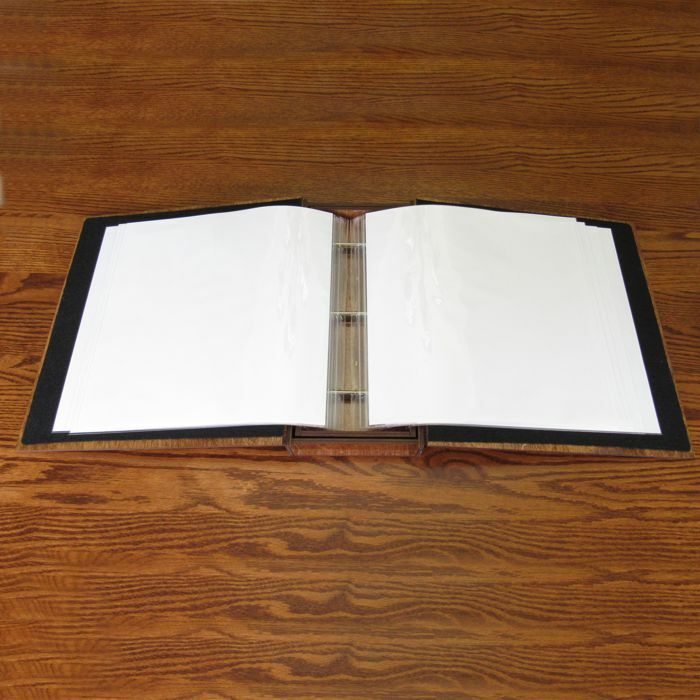 Made of 1/4 inch Baltic Birch wood and includes a felt inside liner and 3 removable binding posts that will allow you to add additional Media Inserts. 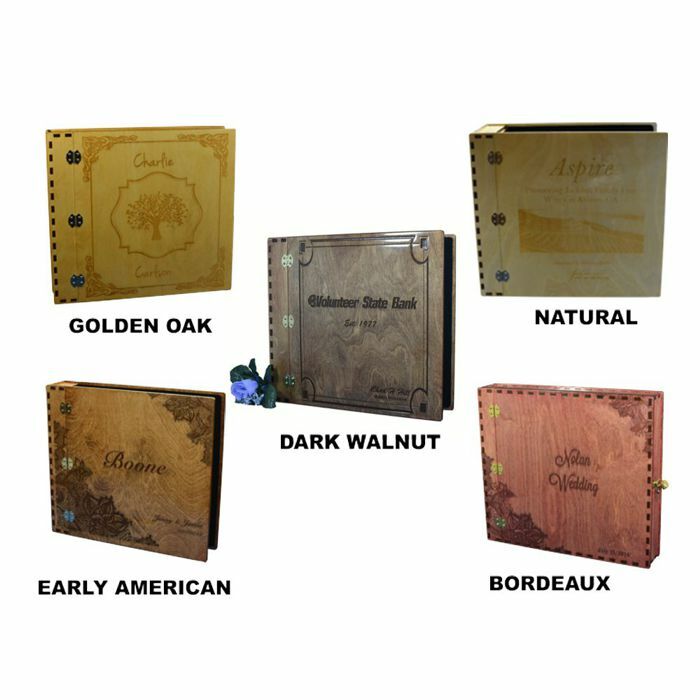 Includes your choice of the following Media Inserts and has a 3 hole Screw & Post system that allows you to add additional pages. These items are available to add to your cart under Extras icon of my Store. Click on our Gallery icon to see actual images of some of our designs. 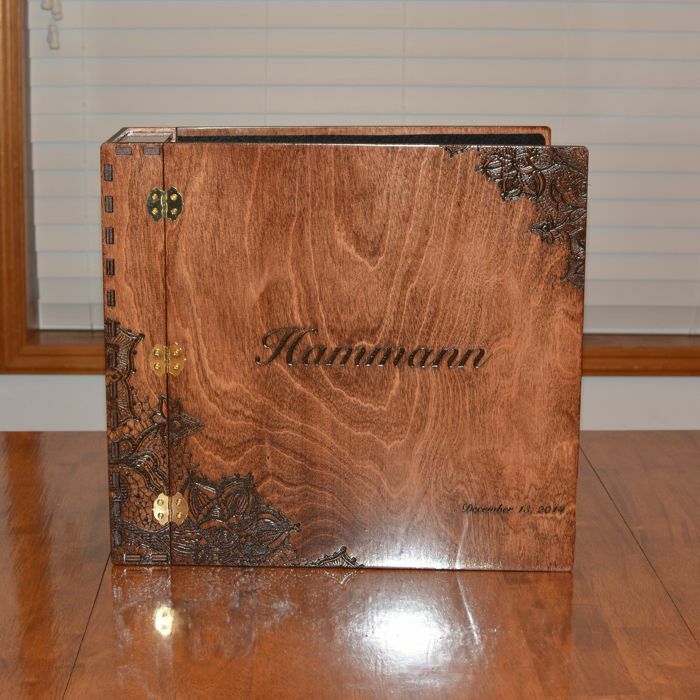 Ready to ship in 2-3 weeks once you've approved design and engraving. Additional time is needed to allow the stain and clear coats to dry. Please note we take careful consideration when shipping your item to make sure it arrives to you unbroken. We will replace anything that arrives broken at no charge to you. Shipping is available for the US only. Shipping for multiple orders can be combined to save on shipping. Please contact us for a quote. Have an idea? Lets work together and make something. If you are providing graphics, higher resolution artwork is recommended and the preferable format is PDF, JPEG, Tiff, EPS, CDR, or Gif. We will be glad to provide you with an email address to upload your artwork. Contact us by clicking the Contact Us link to the left or call us at 877-850-7723 or 425-212-9668.